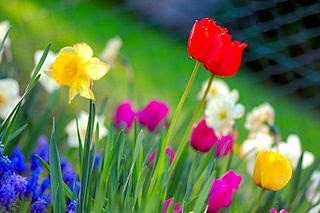 Just in time for the first day of spring, Zitter Health Insights (ZHI) has released the latest edition of its Co-Pay Offset Monitor. As far as I know, it’s the most complete resource for tracking these controversial programs. More than one-third of specialty pharmacy prescriptions used a co-pay offset program. Usage varied dramatically, however, among therapeutic classes. More than half of rheumatoid arthritis (RA) scripts, for instance, had a co-pay offset, while only 7% of oral oncology prescriptions had one. ZHI’s data highlight the mixed response to co-pay programs: hated for traditional drugs, but welcome for specialty drugs…for now. ZHI defines a co-pay offset program as: “a manufacturer-sponsored co-pay program for branded pharmaceutical products directed at the commercially-insured population.” Co-pay offset programs differ from patient assistance programs (PAP), which focus on uninsured patients (or those denied coverage by their commercial plans) who meet financial eligibility criteria. Despite controversy over co-pay programs, Zitter identified 561 co-pay offset programs in winter 2014, a 34% increase from the 419 programs in summer 2012. (See chart below.) 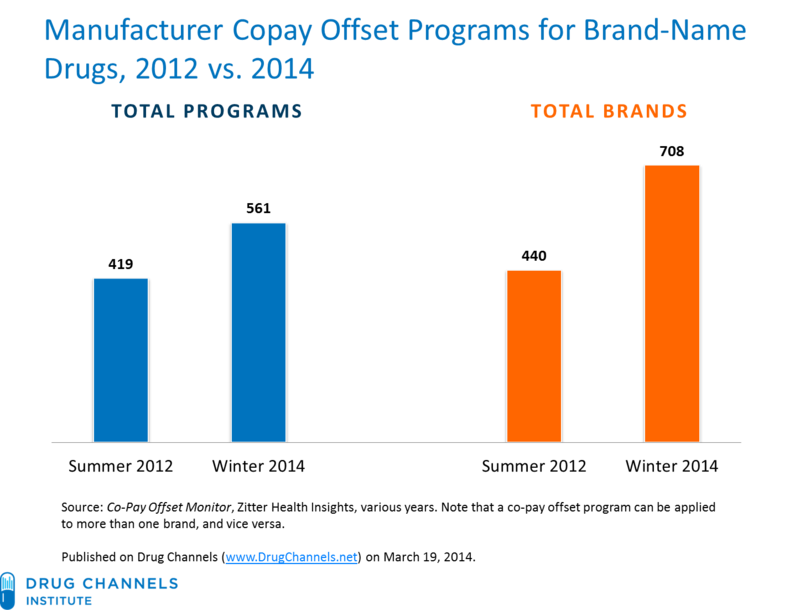 The number of brands with co-pay offset programs grew even faster, from 440 brands in summer 2012 to 708 brands in winter 2014 (+61%). Note that a co-pay offset program can be applied to more than one brand, and vice versa. Zitter also looked at how co-pay offset programs are used at specialty pharmacies. ZHI estimates that its sample accounts for about 25% of national specialty pharmacy claims. The table below summarizes the results for the third quarter of 2013. On average, about 37% of specialty pharmacy prescriptions used a co-pay offset program, although usage varied dramatically among therapeutic class. In ZHI’s sample, rheumatoid arthritis (RA) accounted for about half of the specialty pharmacy scripts. The average co-pay (before any offset) for a rheumatoid arthritis (RA) script was $60. 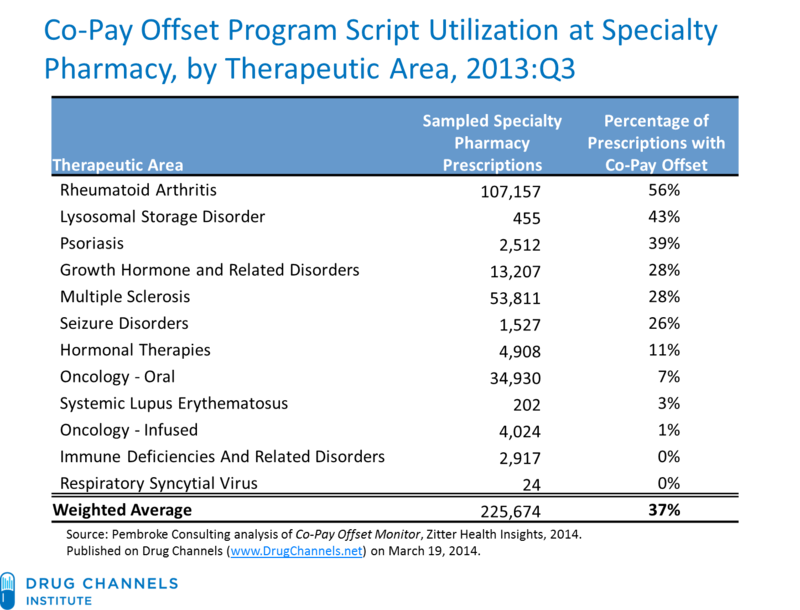 More than half of these scripts had a co-pay offset, typically reducing a patient’s out-of-pocket cost to $0 or $5. Multiple sclerosis (MS) accounted for about one-quarter of sampled scripts. The average co-pay (before any offset) was $76, typically reducing a patient’s out-of-pocket cost to $10. Co-pay program usage was surprisingly lower in other large therapeutic categories. Only 7% of oral oncology prescriptions used co-pay offset, despite co-payments averaging $140. ZHI’s data illustrate payers’ tolerate/hate relationship with these programs. PBMs and third-party payers usually argue that copayment offset programs interfere with benefit plan design, reduce generic substitution, and raise plan sponsors’ costs. See, for example, PBMs Launch a New Attack on Copay Cards. Ominously, Express Scripts even cited co-pay programs as a contributor to formulary exclusion. See Express Scripts and the Inevitability of Formulary Exclusion. But as I argue in How the Fourth Tier Coinsurance Boom Drives Copay Offset Programs, the prevalence of fourth-tier coinsurance is closely linked to co-payment offset programs. Consumer out-of-pocket expenses are a small portion of average prescription prices, especially for more-expensive specialty therapies. Some consumers, however, are being asked to pay a greater share of prescription costs for more-expensive specialty drugs. With few formulary rebates available for specialty drugs, plan sponsors and their PBMs can force manufacturers to cover patients’ large out-of-pocket costs. Thus, co-payment offset programs for specialty drugs are becoming a roundabout way for payers to extract discounts from pharmaceutical manufacturers. As more specialty drugs launch and therapeutic classes become more crowded, expect PBMs and payers to view specialty co-pay offset programs with more suspicion. Given the informantion above, and from Zitter, what is your take on United HealthCare's decision to exclude co-pay cards for over 25 specialty products? Will they be a lone-wolf in their decision, or will others follow suit? Your definition of a PAP is not entirely accurate. At least in terms of co-pay assistance groups who assist with specialty Rx cost. For these non-profits qualifying patients must be insured and their insurance covers the med, but the patients out of pocket expense is too great for them to manage. This includes government sponsored programs such a Medicare Part D. Patients with no prescription are generally referred back to the manufacturer for their "free drug" program. Adam Specialty Pharmacy Times February Editorial was focused on this topic within specialty pharmacy. How about a link, Dan? Hi Adam, per Stacie's question, I'd also be curious what you think about UHC's recent decision to work with their pharmacies to exclude co-pay coupons. How significant is this, will it really happen, and will it become a trend? So where exactly do these monies go? Is it lopped off of direct revenue from the drug or just considered part of the marketing component? Payers reduce their benefit expense by increasing patients' out-of-pocket expenses. The manufacturer picks up this cost with a copay offset program, so it's a gross-to-net reduction in the manufacturer's revenues.